Fish oil has anti-inflammatory properties and a high concentration of omega-3 fatty acids. The nutrients in fish oil also aid brain function and reduce the risk of developing heart disease, arthritis and cancer, according to the University of Maryland Medical Center. Consult your doctor before adding supplements to your diet because fish oil can cause side effects and may interact with other medications. You need a healthy balance of omega-3 and omega-6 fatty acids to prevent inflammation associated with a range of diseases. Babies who don't get sufficient omega-3 fatty acids during fetal development risk developing vision problems and nerve disorders, according to the University of Maryland Medical Center. Symptoms of omega-3 fatty acid deficiencies in adults include depression and mood swings, dry skin, poor memory, fatigue, poor circulation and heart problems. Fasting blood sugar levels may rise if you are diabetic and take fish oil supplements. Fish oil also may increase your risk of developing macular degeneration or worsen the symptoms. It also has been associated with an increased risk of developing prostate cancer, according to the University of Maryland Medical Center. The most common side effects of fish oil supplements are bloating, belching, gas and diarrhea. Taking a fish oil supplement also can cause loose stools, nosebleeds and rashes, according to Medline Plus. The supplement also can leave a fishy smell on your breath. The UMMC also notes that taking a time-release fish oil supplement may cut back on intestinal symptoms. Take the supplements with meals to prevent digestive side effects. Freezing supplements prior to taking them may reduce side effects, as may time-release preparations. Avoid taking more than 3 grams of fish oil per day per day, because it can interfere with normal blood clotting and reduce the effectiveness of your immune system. Fish oil is sold in capsules or as a liquid. To counteract the effects of heart disease, take 1 gram per day of a fish oil supplement, while 2 to 4 grams a day are recommended to lower high cholesterol, according to the University of Maryland Medical Center. 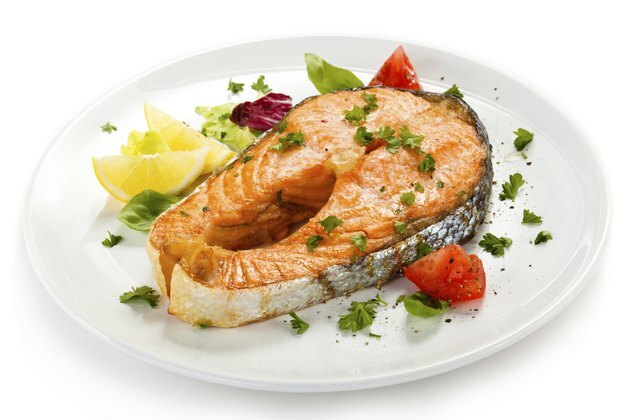 You can receive the same benefits from eating fish high in docosahexaenoic and eicosapentaenoic acids such as mackerel, tuna, salmon, herring and halibut. What Are the Benefits of Seal Oil?